Approximate running time: 3 hours 40 minutes inc. intermission. NEW PRODUCTION! The Met stage ignites when soprano Kristine Opolais and tenor Roberto Alagna (in his first-ever performances of des Grieux!) join forces in Puccini’s obsessive love story. Opolais sings the title role of the country girl who transforms herself into a Parisian temptress, while Alagna is the dashing student who desperately woos her. Director Richard Eyre places the action in occupied France in a film noir setting. Met Principal Conductor Fabio Luisi leads the stirring score. Nina Stemme, one of opera’s greatest dramatic sopranos, takes on the title role of the proud princess of legendary China. Tenor Marco Berti is Calàf, the brave prince who sings “Nessun dorma” and wins her hand. Franco Zeffirelli’s golden production is conducted by Paolo Carignani. NEW PRODUCTION! 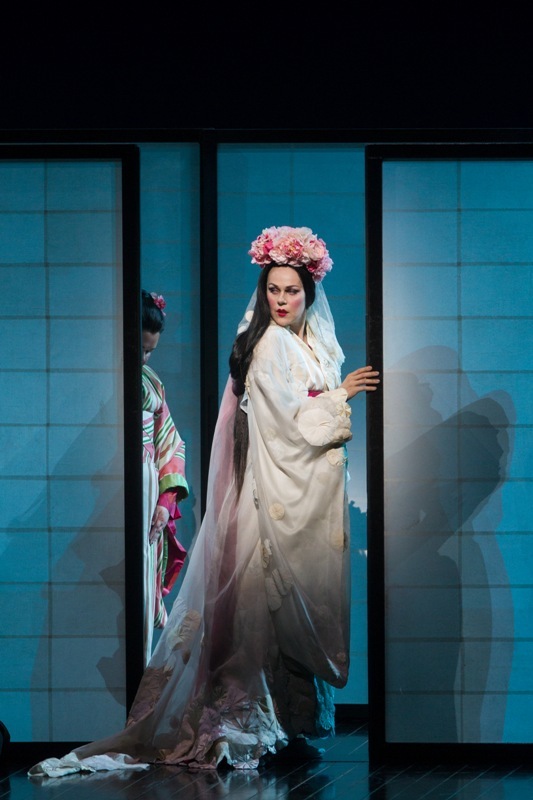 Bizet’s gorgeous opera of lust and longing set in the Far East returns to the Met stage for the first time in 100 years. Soprano Diana Damrau stars as Leïla, the beautiful Hindu priestess pursued by rival pearl divers competing for her hand. Her suitors are tenor Matthew Polenzani and baritone Mariusz Kwiecien, who sing the lilting duet “Au fond du temple saint,” which opera fans know and adore. Director Penny Woolcock explores the timeless themes of pure love, betrayal, and vengeance in a production that vividly creates an undersea world on the stage of the Met. Conductor Gianandrea Noseda brings his romantic flair to the lush score from the composer of Carmen. NEW PRODUCTION! Acclaimed artist and director William Kentridge (The Nose) applies his unique theatrical vision to Berg’s notorious femme fatale who shatters lives, including her own. Soprano Marlis Petersen has excited audiences around the world with her portrayal of the tour-de-force title role, a wild journey of love, obsession, and death. Susan Graham joins a winning cast, including Daniel Brenna and Johan Reuter. Approximate running time: 4 hours 30 minutes inc. intermission. NEW PRODUCTION! 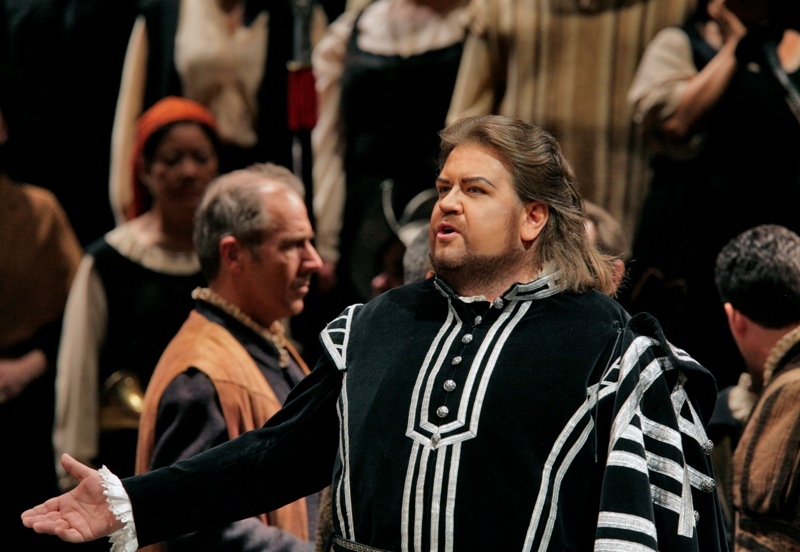 Verdi’s masterful Otello matches Shakespeare’s play in tragic intensity. Director Bartlett Sher probes the Moor’s dramatic downfall with an outstanding cast: tenor Aleksandrs Antonenko plays the doomed Otello; new soprano star Sonya Yoncheva sings Desdemona, Otello’s innocent wife and victim; and baritone Željko Lučić plays the evil Iago, who masterminds Otello’s demise. Dynamic maestro Yannick Nézet-Séguin conducts. 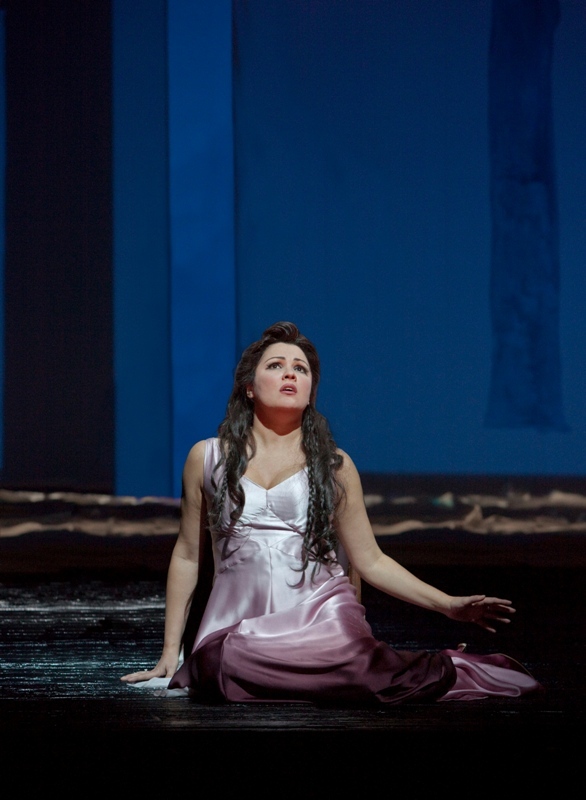 Soprano Anna Netrebko’s dramatic and vocal skills are on full display in her next new role at the Met—Leonora, the Verdi heroine who sacrifices her own life for the love of the gypsy troubadour. Tenor Yonghoon Lee sings the ill-fated Manrico, baritone Dmitri Hvorostovsky is his rival, and mezzo-soprano Dolora Zajick is the mysterious gypsy with the troubled past. Marco Armiliato conducts Sir David McVicar’s Goya-inspired production. Natalie Dessay puts on the red dress in Willy Decker's stunning production, in her first Violetta at the Met. Matthew Polenzani sings Alfredo, Dmitri Hvorostovsky is Germont, and Principal Conductor Fabio Luisi is on the podium. 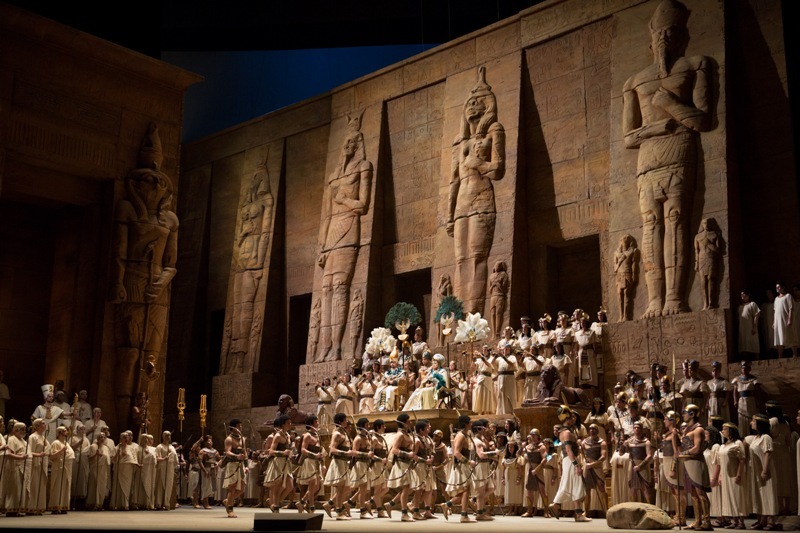 Set in ancient Egypt, Aida is both a heartbreaking love story and an epic drama full of spectacular crowd scenes. A cast of powerful voices and a grand production bring the story to life on the Met stage (and on the big screen).